Sarah Dukes’ Finding Forever, a collection of fourteen original piano solos, isn’t like most other albums. Then again, Sarah Dukes isn’t like most other musicians. A self taught composer, Sarah’s songs come straight from the heart, musical expressions of her emotions. Sarah began playing piano at age six and composed her first song, titled Elephant in Tights, at age eight. She continued composing and two of her songs won awards in the Performing Arts Senior Division for the Pittsburgh JCC’s Annual Holocaust Arts and Writing Composition. Finding Forever clocks in at just under thirty seven minutes of sheer musical beauty. There are no vocals at all, just Sarah’s beautiful compositions played to perfection by Yaron Gershovsky. I have to say that at first, I found myself pining for words to go along with these songs but as Sarah explained, keeping her songs instrumental gives people the opportunity to interpret them in a multitude of ways. With names like “If Only”, “A Breath of Fresh Air” and “Rays of Hope”, I found them to be light, ethereal and optimistic. While as a writer I couldn’t help but imagine the lyrics that I would set to these songs, the fact that they weren’t limited by words almost seemed to set them free and they seemed to be floating through my kitchen as I listened to them. This album is a little different than most but is a truly magical music experience. 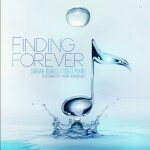 Finding Forever is available at your local Judaica store and at www.mostlymusic.com. What a talent!! And what a special person…She adds class and delicacy to music that is so melody rich and full of ephemeral feeling. She has lived with her music, not just written for recognition. The piano is enriched with her presence.